Just a quick post on Turkey Day! I hope everyone is enjoying a nice Thanksgiving with their loved ones. And of course, always GIVE THANKS to our servicemembers who are away this holiday season...THANK YOU! 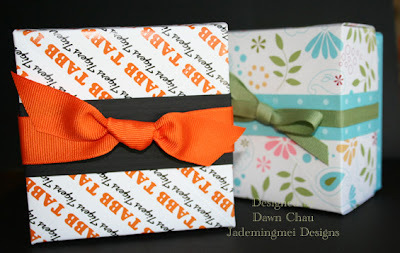 These boxes are very simple to make and you can get a wonderful video tutorial from Kwerner Designs(link is in previous post). 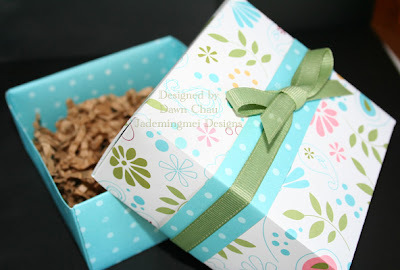 You can put just about anything inside as I used these for my DD's preschool teachers and filled them with chex-mix. 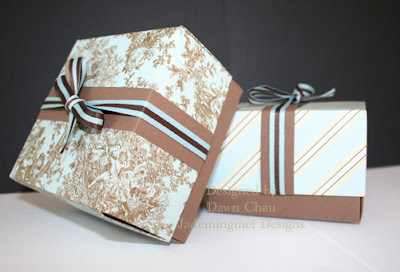 I have seen some really neat boxes made of vellum as well, although not as strong, they are very elegant. AWESOME! Hope all is well, your work is fabulous! Love those folders too!